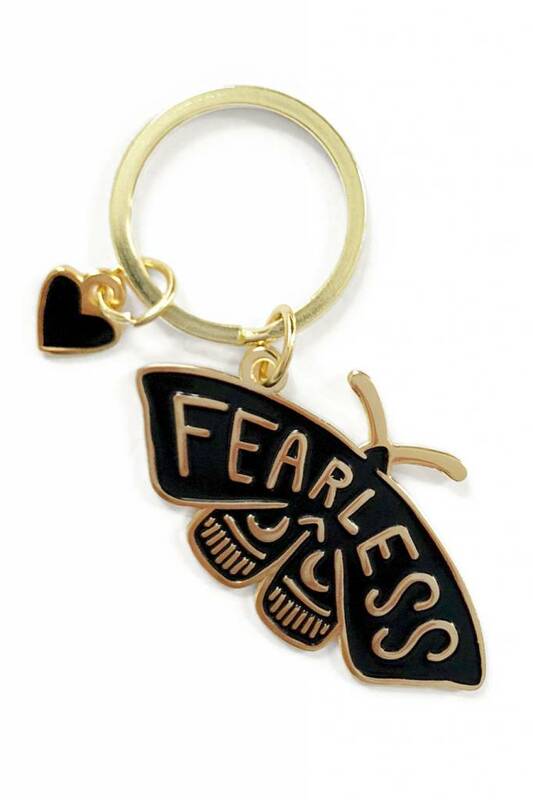 Fearless Moth Keychain (Black) - Woolly&Co. The only thing to fear is fear itself… and one of these wool munching f-ers. Gold or silver tone metal with black heart emoji charm.